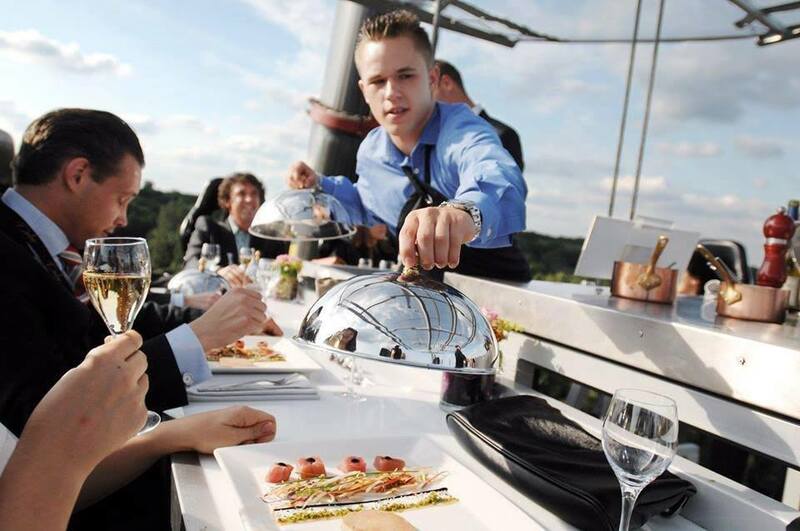 EXCLUSIVE DINING EXPERIENCE WITH MAGICAL VIEWS! 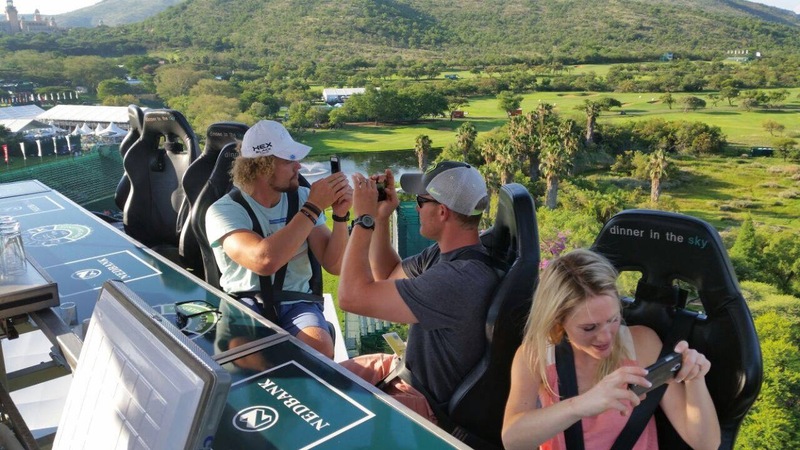 Anything presented at a height of 50 meters is bound to make a lasting impression than it would on terra firma. That’s why we Sky Events, A platform meant for anyone who wishes to transform the ordinary into a magical moment that will leave a lasting impression! 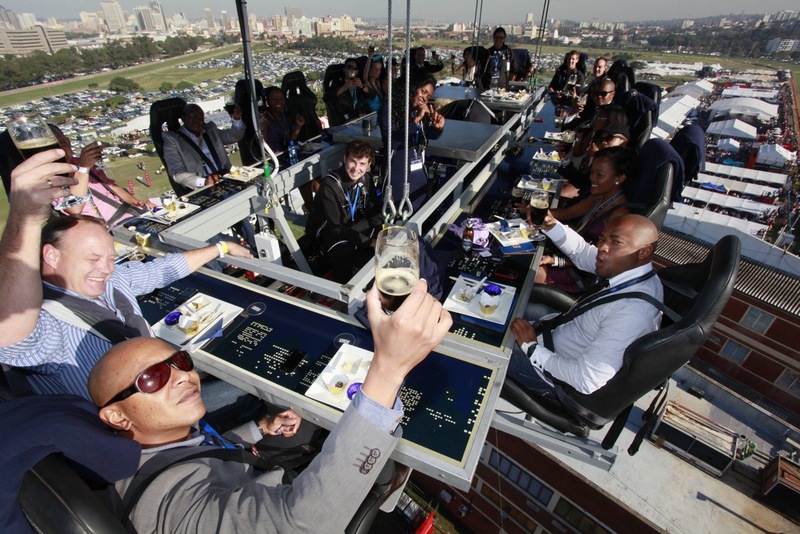 The Sky Table is hosted on a platform suspended at a height of 50 meters. 22 guests are seated around the Sky Table with 3 staff members catering to our guests every need. We personalize each event according to our client’s wishes. Everything is possible, The Sky is the Limit, this is the extraordinary experience we transform the ordinary into the magical moment. We are driven by to 2 Gold Words: SAFETY and EXCLUSIVITY. We do want to provide our clients with the most exclusive experiences ever dream in a total safe way. All our concepts are designed according to the German norm DIN 4112. Products are built in Belgium under the control of Rheinland TÜV. 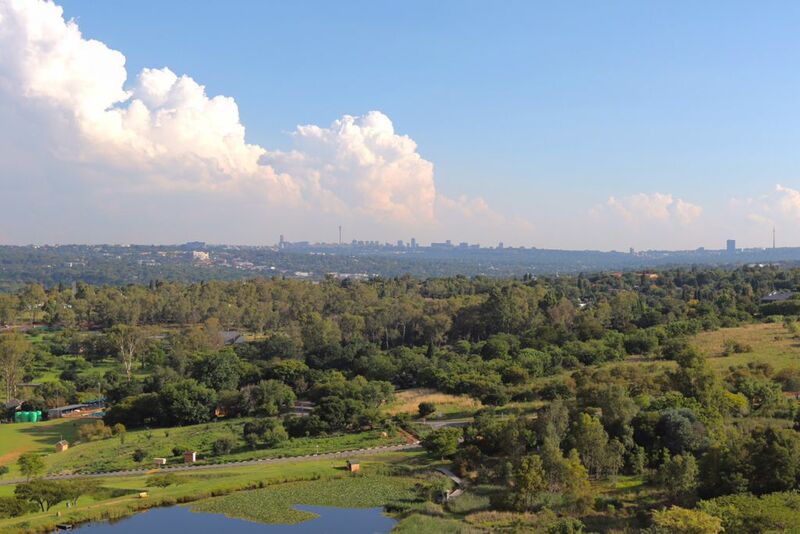 Sky Events is now successfully operated in South Africa for more than 7 years. How Does a Typical Dinner Event Work? Guests will arrive 45 minutes before “take off” where they are taken through the registration process. 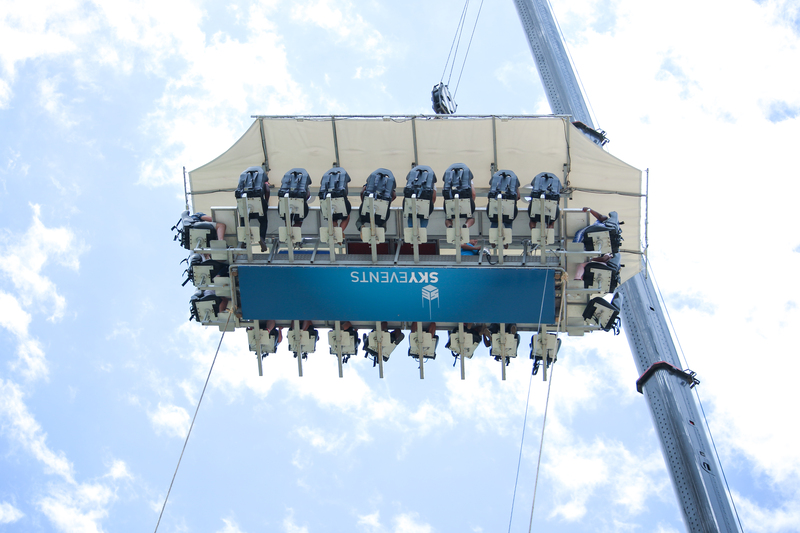 Guests are then taken individually to their seats where they are fastened in their seats by a three point safety belt. 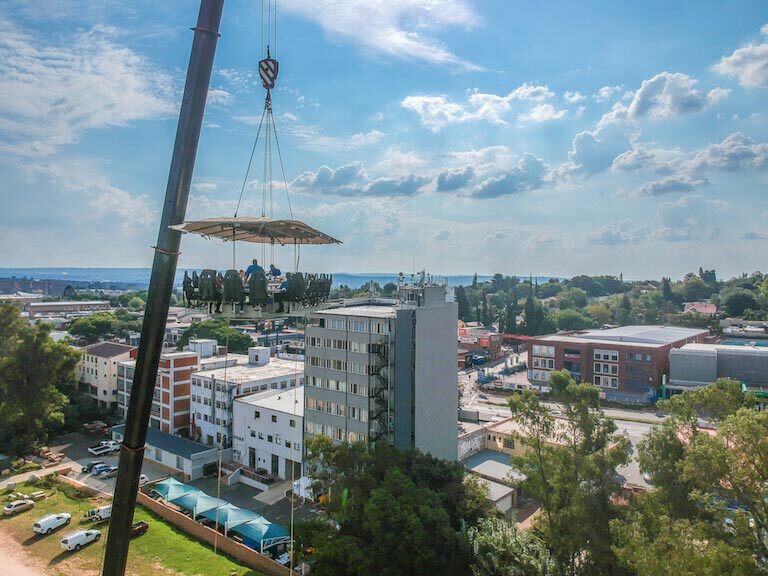 Once all the safety checks are complete starters are served and we “take off” for our first session in the sky, this lasts approximately half an hour and the table is then brought back to ground where guests are welcome to take a comfort break. 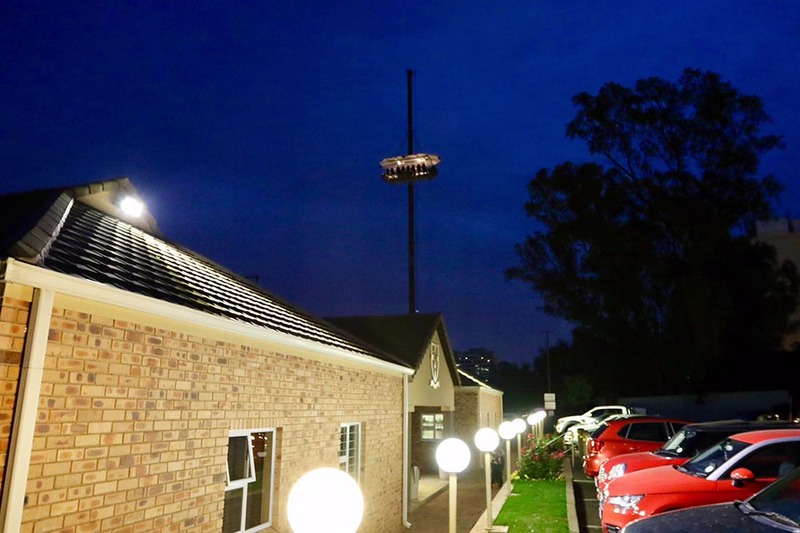 The main course and dessert is then loaded and we once again take off where guests will enjoy a further hour in the sky enjoying their main meal and mouth watering dessert. We offer fixed menu for our scheduled events. Please see our menu page. However should your require different menu options for your private event, please speak to our booking staff. Where can we host Sky Events? What is the minimum age to attend Sky Events? In order to secure you safely in your seat the minimum height should be 120 cm, minimum age is 10 years old. Sky Events is designed according to the DIN 4112 norm, all drawings, calculations and simulations are tested by TV Rheinland. The structure and all hoisting materials are tested every 3 months. SkyEvents table can seat a maximum of 22 people per session. 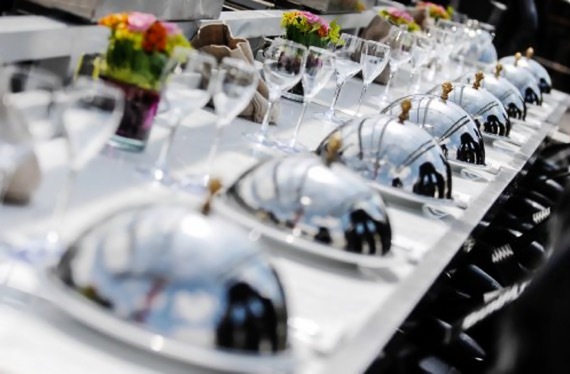 Catering can be included or outsoursed at other venues, all depending on your unique needs. How many staff members can be inside the table? There is room for 3 staff members in the middle of the table, including a friendly hostess and a barman.